See’s Candies really aided us in this motivation. You see, he contacted me, some time ago, asking if I’d be interested in conducting a review. While I considered my December schedule/work load, Chw was pretty much committing me too it simply because it meant free chocolate. There are so many funny things I can point out here. I could pinpoint the time, in Detroit, that I was able to take my Transformer obsessed husband to a Transformer’s event, months before the film came out. There are junkets, premieres and so many other totally cool things my writing career have opened up for him. But what is the one event he feels the need to gush with pride over, and tell everyone on the planet about? 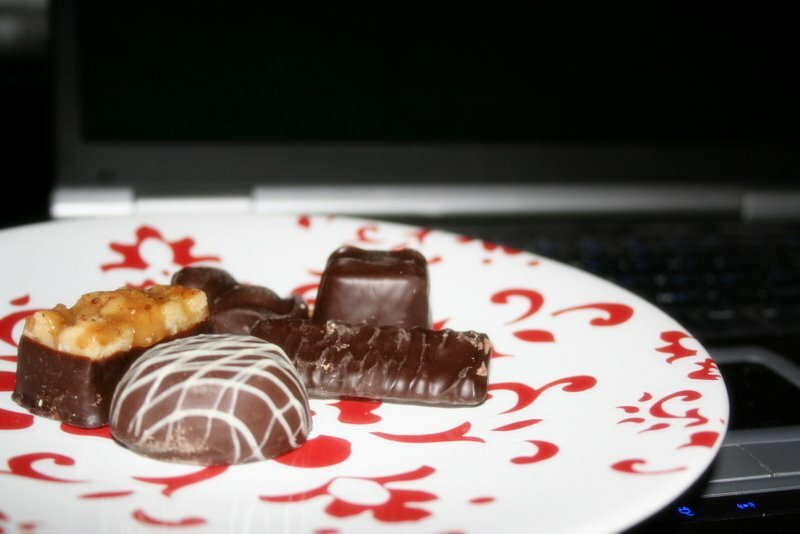 My blog review of See’s Candies, complete with free chocolate. Most women, anywhere on the planet, would agree that chocolate can be a beautiful thing. See’s Candies proves to be no exception. Of the entire box, there was one chocolate that no one liked. The downside is we will never know what it was because the box didn’t come with a “chocolate guide”. Except for the lovely little square chocolates, which everyone knows are caramel, we were sort of tasting blindly. Every piece had the consistency that a chocolate should have had. You know those cheap heart chocolates that hit stores just after Christmas? These are NOT those chocolates. These are smooth, and just as pretty to look at as they are delectable to eat. 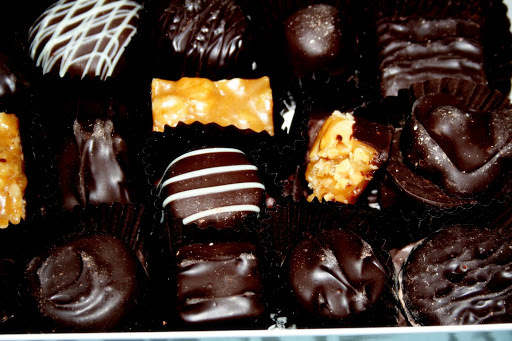 See’s Candies began in 1921. 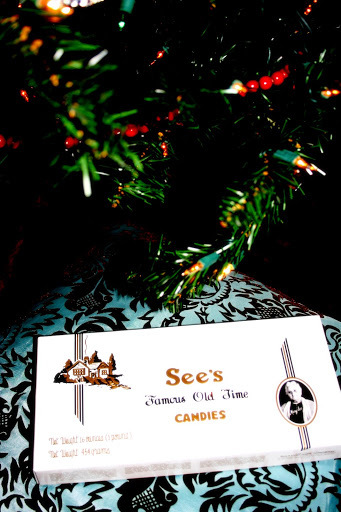 I remember my grandmother receiving (and buying) boxes of See’s, every Christmas- when I was little. 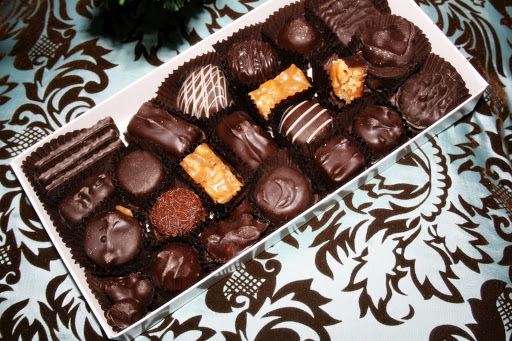 Christmas fell under happier childhood time and I’ve never been able to pass a See’s Candies Boutique in a mall, without feeling warm and nostalgic. I am such a sentimental girl that, honestly, my favorite part of the entire ordeal was that the box that landed on my doorstep looked exactly like the boxes from those days, over 20 years ago. I suspect Chw thought I was a bit of a fool for even caring about that- but the more on thought on it, the more I realized how important that is. In this era of corporate chaos, everything is streamlined, simplified, outsourced and pretty much stripped of any real human connection. Change isn’t always the best. It’s nice when things today can be the same quality as they were 25, 40, 50 years ago. The other thing I’ve enjoyed is the people. And the women, in the store, had all of the kindness & patience in the world. We all have last minute shopping to do. Everyone loves chocolate. I’m just saying, chocolate gifts make sense. They also have a direct like for business gifts which, let’s face it, is pretty great. With buyouts, mergers and layoffs galore, many companies are forced to forgo the annual Christmas parties or Christmas bonuses. 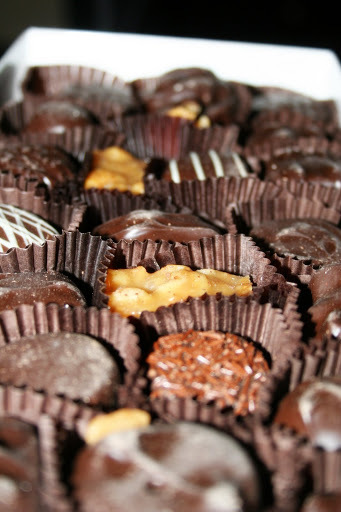 Employee morale is low and even something as simple as a box of chocolate really could provide a boost. Those look incredibly delectable.We finished our baking yesterday, and now we get to deliver. Using this as a way to meet some neighbors who stay inside all the time! Merry Christmas! I really should have had some breakfast before reading this post! YUM! Have I ever told you that I have the See’s fudge recipe?? :OYum O!Was your blogher down for awhile? My tummy – is RUMBLING! Goodness, you’ve gotta stop doing this to us without fair warning to go eat a salad or something first. hehe!! YUM YUM! Although I love their chocolate, my absolute favorite of theirs is the Apricot BonBons. Yummy! Oh, man, I got a box of See’s from a piano student earlier in the week, and I can’t stay away from it! It’s heaven. Except the coffee flavored one. Growing up in California, See’s Chocolate is my number one favorite. I used to get it for every holiday and my still sends it to us now at Valentines, Easter and Christmas. When the open the seasonal store in 12 oaks mall every year, I buy a couple boxes and gorge myself to hold me over til the next year. I’m glad you reviewed this. If you ever need help figuring what kinds they are since they don’t put a list in the box, take a picture and email it to me…I’m an expert!! I think I need to head over to See’s and get me a box of chocolates! LOL Seriously! I knew that was a box of SEES as soon as I saw it!That must tell you something about me…the truffles are my fav!